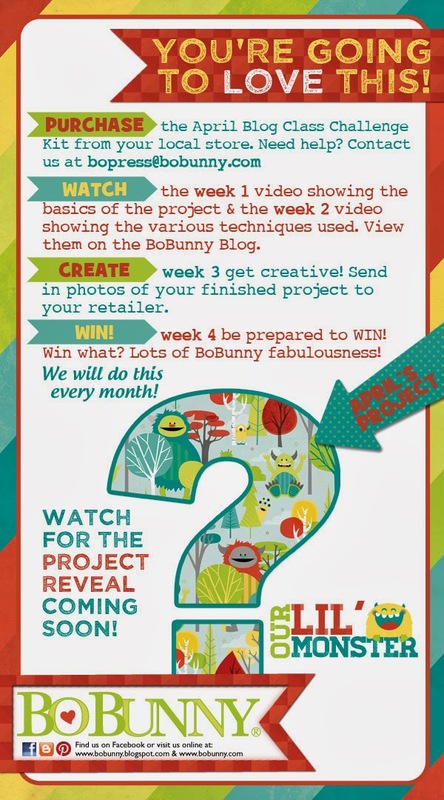 Welcome back for some more fun with the BoBunny Blog Class Challenge!! This is week 3 which means it's your time to shine! You can alter the items in your kit to your hearts desire. The challenge is that you take the fundamentals of the project and make it your own! Remember if you have any questions you can email us at bopress@bobunny.com. Click here if you would like to watch weeks one and two videos of this months blog class. April is right around the corner, we will be revealing the April project soon! If you love the Lil' Monster collection you are not going to want to miss this!